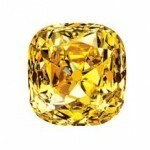 Once we establish a budget to work with and suitability as a potential buyer, we start to look for attractive diamond pieces based on our clients’ interest level, what color categories and grades they are interested in acquiring, whether the pieces will be set into jewelry or will go into a vault as a collectible. As advisors, we have to source colored diamonds that fit within the established budget and quality standards at an established dealer level price based on comparable sales in the major diamond centers of Tel Aviv, New York and Antwerp. We then source the goods through our cutting center, our existing inventory, at the dealer level or through private sales. Our goal is to acquire diamonds that are becoming more scarce in color categories of the market with strong potential for growth in sales at the auction, retail and dealer level. Upon locating a diamond(s) that meets the buyers requirements, the diamond is acquired by the buyer. An invoice is issued and sent via (sale) email, faxed or mailed detailing diamond color, weight, price and date of purchase and settlement for client approval. Client sends funds to AIDC Advantage. Corp. via wire transfer, Bankers draft, check or other preferred means as designated by the client. A payment receipt is issued by the company to confirm funds and goods are shipped on instruction via registered and insured courier along with the original laboratory certificate. Should you have any questions or queries, please feel free to contact one of our representatives to further explain the sales process at your convenience.